Is your relationship in crisis or immensely challenged? Do you need a confidential, safe and respectful environment to talk through your issues? 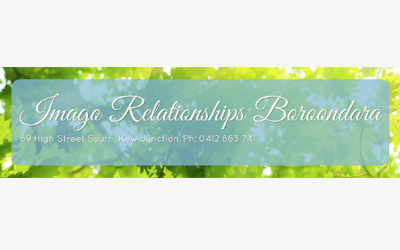 Help is available at Imago Relationship Boroondara using tried and proven techniques that will help you focus on developing greater understanding, honest and open communication with your partner. Rather than advise we coach and support you to a better sense of self and more empowered relationship.